New May reviews found under this post!! As I review more albums, I'd love for you to check out my own music and leave some comments to tell me what you think. The Glaze of Cathexis albums are my more psychedelic rock based offerings, while the Damaged Tape recordings are my journeys into electronica. Please have a listen! Tell me if I can help you w/something. In my opinion "Tokyo Rainbow Bridge" is even better than your "Holographic Universe" album. I like the songwriting more (it's more "direct" and I like the singing style (e.g. on Look Alive, very laid back) and the production. My favorite songs are: Reduced to Dust, Image of You and Waiting for the light. and well ... that is exactly what it is. It features only music by me and my former bands and people I know – everything unreleased until now. If you like what you hear, it would be great to send me some feedback (of course also if you DON'T Like what you hear... hehe!) and if you could link me to your side. i'm a big fan of this blog (probably the first one i 'followed') - what was up with the long hiatus a couple of months back?? I thought you weren't coming back! Great! Give me a few more days for some updates. I just got back to Atlanta from Japan this evening and need a few days to get past the insane jet lag. Just to say...amazing blog, music and reviews, everything is perfect..
Greetings Dr. Schluss. I thought that I had already added you to my music blogroll/directory @ http://music-bloggers.blogspot.com, but apparently I made a mistake. I just wanted to let you know that I've got you added now. You already link to one of my blogs (Digital Meltd0wn). If you would like to link to the blogroll also that would be great, but if you choose not to I understand. Take care and thanks once again for all the great music. calisoulbrother records for rare PSYCH, PROG, soul, jazz, funk, brazil & latin records! the last entry is from the future!?! I have long loved your blogs and your suberb postings. My main musical interest is from 1966-1972 and this blog comes through for me many times. My biggest problem is rapidshare. They have gotten so hard to use anymore. Waiting forever and trying to decipher next to impossible "security" letters. What a croc, security my a$$. That is nothing but a deterrent to downloading. That aside, what I have been able to download I have really enjoyed, especially the Gentle Soul album. Great stuff there. Yeah, I have a huge stockpile of Rapidshare points, and hence I've been using it. I'm not really the most computer savvy guy, so it's easy for me. I also like the lack of advertising on Rapidshare (besides the fact that I'm lazy). Anyway, I feel like you're more likely to listen to the album if you had to work a bit to get it. I always end up listen to Megaupload stuff from other blogs because I had to pay more attention to getting it. But if anyone out there wants to put up a link in the comments for your favorite album or two on the site, I'd appreciate it, and the readers would probably dig it even more. could you link this one too? "Zonohedra" will follow some time in the near future. I love the pic at the top of your blog! Thanks for changing the pic at the top - I'm no longer scared to come here! Do you have Beaver & Krause's All Good Men? The others - even the hyper-rare Ragnarok - are available in the blogosphere, but not this one. That is a band I think you might like, and I think kinda fits your blog. It is their new ep leak, I included the cover and everything. You should check it out and post, if you think your readers will like it, I like the stuff you put on your blog and I love this, so I assume others will! Their name is Darling's Cabinet of Sundry Horror, and its kind of like gothic folk/protopunk for fans of the birtday party and the violent femmes, and maybe even marilyn manson or Tom waits. very nice blog. been digging it for a while and should comment more. just grabbed Popol Vuh In den Garten...but haven't had a chance to listen yet. Curious if you've ever encountered "Nick Mason's Ficticious Sports" with all compositions by Carla Bley and featuring Robert Wyatt? I would love to hear that shiz. Of course I link to your blog! It's a classic. Thanks for linking back. Keep up the good work. Also check out on mininova torrents 'Avant Garde Project' this is a series of avant guarde works from the likes of Stockhausen to Cage to music concrete and avant guarde electro acoustic,improvisation,classical, minimalism, music and soundscapes etc. All the work is out of print and is being digitised to preseve it. There is all sorts of fabulous work amongst the collection, early electronics 1940s/50s/60s, oscure and famous artists. They do have website. Keep up the good work this is a great info resource, come visit us on myspace. Love your blog & your music..I noticed on an old Telescopes post you were after the untitled lp,well here's a link for you.It's my own 320 rip from vinyl.hope it's some use.enjoy. this is such a nice blog. And the current drawing at the top is great too! how you can travel to the future to post this? Hey fella nice work. Do you have the debut of L'infonie? Hi, we are very happy you liked our latest work INFINITE.... We will be proud to be reposted and reviewed here! You can use the whole stuff, link included. Thanks anyway for your good work. Lovely. I am going to find some gems here for sure. Keep up the good work man. Great stuff. I really like what you are doing. DR.Schluss, that is a pretty impresive title, I've never had the misfortune to listen to any of your music, but if the artwork is any indication of the sound, they must be on the unlistenable list. By the way I am Frank one of three surviving members of the Flying Karpet, which you treated so poorly in your blog. Granted the recorded music is not what we would have liked to produce, unfortunately for all, this product was recorded between 1967 and '68. The social-political situation in Mexico was completely against groups such as us, we were persecuted, ripped-off by the authorities and even the so called record company that paid the studio time, Son Art. They managed to steal a Gibson Les Paul Jr, while we played free for them at the inauguration of the Hoover Vacuum Cleaner Company, I hope you get the pun. We were rushed thru the recording trying to finish the L.P. in three sessions?¡?¡?¡? We recorded at the RCA studios in Mexico City which at that time had a wonderful 3 track console!!!! Better suited for mariachis. We had no input at all and they insisted that we play the cover versions, that you so flippantly dismiss. We were railroaded. I should mention that this so called company, recorded us because we did have a following in Mexico even under the represive government, that closed all venues that hired any rock-pop music groups. All in all the late 60's in Mexico was not friendly to rock- pop groups. Having stated our case, let me tell you, I became a producer of some import in the mid 70's and 80's, I produced, arranged and composed the song with the ex Menudo, Johnny and Tatiana, "Cuando Estemos Juntos" it topped the charts in 11 latin american countries and also the latin Bill Board Chart in the U.S.A, in Mexico it held the #1 position for over three months and sold well over 2 million copies under my own label. I was also instrumental in the careers of Mocedades, Camilo Sesto, Jose Luis Rodriguez, Tatiana, Menudo, Rocio Durcal and actually brought B.B. King to Mexico as well as Barry Manilow and Freddy Fender, to mention a few. So I guess you can put that in your pipe and smoke it or, I may also just give you a pinch in the cheek, as you say, to these young lads. I personally knew that the Flying Karpet, was a wonderful group playing live and created real excitment. Anyway, I became the International Manager for Musart Records, Peerlees Records, RCA Records and also EMI Capitol Records. Of course I was also a well known DJ on Radio XEX FM in Mexico City for several years. I am Frank J.P. Segura, and you can look all of this up to make sure I'm not pulling your leg. I would very much like to know your reaction to this and get in touch with me. Thanks for the info, Frank! If you'd like, I'd be happy to add your description to the original posting. The Flying Karpets' music is unquestionable better than the gigging band that I played with (and wrote songs for) in the 90's, and we had no record companies or governments holding us back. just have spent an hour of browsing through your blog, coming back with tons of interesting stuff. Thanks and big props from Berlin! Here's a download link for the awesome Harmony Rockets album (my rip), Paralyzed Mind Of The Archangel Void. A perfect ten trip. Enjoy! i like your site a lot! found it today and has been reading and listening for quite some time now! i saw that you were out looking for new psychedelic sounds and songs. i have a band that plays psychedelic music. We think of ourselves as the upcoming innovators of psychedelia ^^ can't really say that we are though, haha. but in a distant future that dream might come through. well, you could check it out on spotify or myspace. we're called Barrett Elmore, so search for that on spotify if you want. I'm gonna continue to read and enjoy your site (bookmark ;) ) i hope it will be as good tomorrow as it was today. Very eclectic blog! Enjoyed perusing the posts. You may find my doombient works interesting. Some reviewers have used words like nightmarish, fever dream, hauntingly hypnotic, and one said one of my releases could be a new benchmark for dark ambient -- surpassing Lustmord & Rich's Stalker release. Can you please update the link on your web site? Hmm... Sounds a little like "I hope you guess my name." Cross-reference that with "Please allow me to introduce myself..." and I can figure it out. I've always wished that Mick would have just shouted out "Satan!" somewhere in "Sympathy for the Devil." I just found your blog today, and I must say I love it!! Hello good Doctor. I'm in the process of performing another major round of updates to the Digital Meltd0wn Blogroll. I noticed that the link to Musica-Acida @ http://mza-acid.blogspot.com is down now. I was hoping you might be able to provide some info on whether or not he set up shop somewhere else, or decided to call it quits. If you don't mind, could you stop by either of my blogs and let me know? Thank you and take care. Great blog Dr. Schluss - always something different on offer, so thanks. If you get time, have a look at my blog which mainly features Australian Artists and has a charter that they must have been released on vinyl and are not commercially available. Please follow my new blog about psychedelic music. i dig your blog and i insert your site to my friends' page. I really dig your Glaze of Cathexis albums. Great psych feeling. I heard your album "The Golden Konbanwa" It's Very Nice and Comfortable! !Thank you for good sound! ....and your blogg is Reeally CoooL! Glad you dig "The Golden Konbanwa." 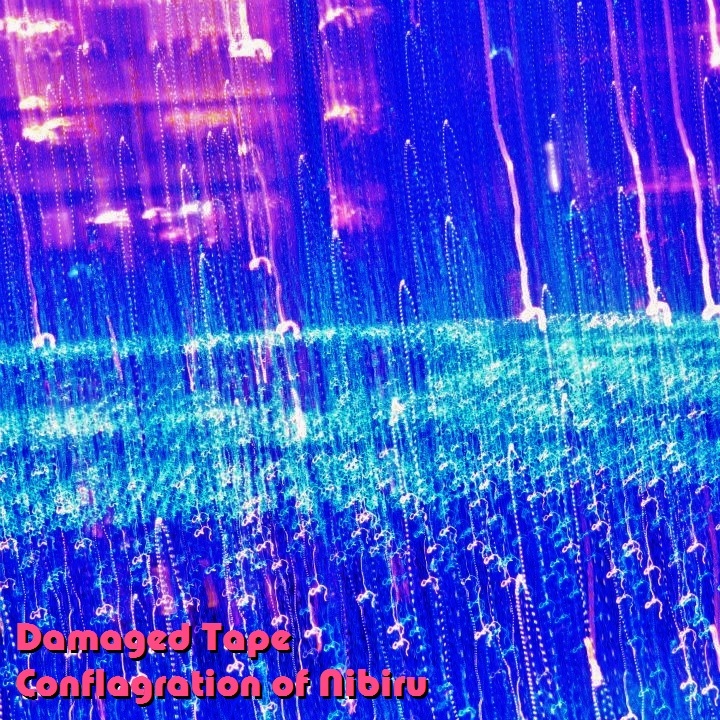 If you'd like to try Damaged Tape, I'd recommend "Beyond the Astral Labyrinth." Great blog, my psych friend. I have also a blog about psych music and I added you to my blog list. Very nice mix, thanks Dr. I downloaded most of the Glaze Of Cathexis albums, really like them a lot. I'm in the middle of finishing up mix on my bands debut album, Masaki Liu (did a bunch of work on the first BRMC album) is mixing it. Here's a link of 6 of the 10 songs http://www.mediafire.com/?ie9njpd0bhcorny , not the final mix but a good idea of what it is. Psychedelic/Garage fun. Thanks for the free tunes! Would love to include your sounds. This project was very timely because valentine's is almost there. Thia was so lovely and I really like it. Hey man, just stumbled upon your VERY groovy blog and the first thing I'm listening to is "Beyond The GHost House". I'm loving the textures, and the interplay between the lush guitars and the VST instrument backgrounds/etc Very, very cool stuff sir!! Thanks for sharing your talents! Hey great blog, full of good music! I posted a link from a psychedelic band from Barcelona. It seems it was filmed in Monegros Desert North east of Spain. Hey man ,great music and blog! I'm over at http://sluggisha.blogspot.com and http://mediachrist.blogspot.com. this is my new band ,ShaMaMo ,with the first video from our second album! Doomy/drone psych ,of the highest order! The good Doc. S. will, no doubt, frëak-out, after viewin' these, too wild, acid-soaked YouTube music vids. Feces! Moi meant this one "Moonbeam Diatribe" by Bellaluna. I need drugs for this. I am so happy to have found this blog! Great minds think alike, I guess. I've been creating a weekly blog that covers music, film and fashion of a particular time period combined with a racy, psychedelic novel that I've serialized. This week it's 1991 when my heroine discovers Acid House music and culture for the first time and I’ve featured some amazing tracks and images that I feel represent the period. I'd love to know what you think. You've been an inspiration to us, Thank you for sharing this great music. Great music! Thank you for providing so much inspiration. My old blog: http://dirtyfunky.blogspot.se/ is deleted by staff. I will make a new one but right now i will have some rest. I'm a little tired of blogging right now. 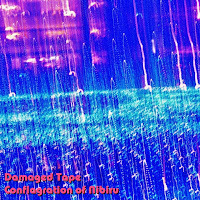 I love to hear damaged tape when i'm Travelling in my space ship!!! !